This issue takes place way back when Babs and Poison Ivy were both regular members of the Birds of Prey. It’s spring time in Gotham, and the ladies are trying to take down one Mr. Rain, a trillionaire terrorist who’s been putting mysterious implants in sick people and turning them into super-strong thugs. Babs notices that Pamela is having even more fun than usual; the bust goes as planned, and we all know what happened between Poison Ivy and the rest of the crew. Three months later, Babs is staking out one of Rain’s facilities when Pamela shows up to…help? She is again weirdly pumped, and even more powerful than ever. The only thing the ladies find is lots of bodies, all terribly cut up. Another three months go by, and Babs and Pamela again run into each other as Babs interrogates one of the terrorists from the first bust. He tells a terrible story about Mr. Rain putting his implants into sick people so they can serve as incubators. After six months, their enhanced organs go to wealthy buyers, and the sick people die horribly. Despite how awful the story is, Pamela is apathetic; Babs figures out she suffers from a pretty severe case of Seasonal Affective Disorder, which makes so much sense for someone with plant powers. Finally, three months later in the dead of winter, Babs finally tracks down Rain with Pamela’s help. Rain is trying to make the world a better place, one illegal implant at a time, and he tells Pamela he can “fix her.” Since she doesn’t consider herself “broken” Pamela doesn’t take too kindly to this message, and Babs has to talk her down before she tears Rain apart. Pamela relents, and agrees to go to Arkham as payback for betraying Babs and the rest of the Birds. This is almost more of a Poison Ivy story than a Batgirl story, and I loved every second of it. The idea of Pamela suffering from S.A.D. is so unexpected and so perfect. Artists Robert Gill and Javier Garron perfectly capture her transformation as the year progresses. I know there’s an art change right before the last quarter of the book, but I’m not sure which artist is responsible for what pages; my apologies to both Mr. Gill and Mr. Garron. Ivy starts off the book practically glowing; in the summer segment, she has little purple flowers growing in her hair, it’s adorable. Come winter, she looks as dead as the plant life around her; she’s haggard and pale. It’s a gorgeous rendition of an idea I’m totally enamored with. I really feel sorry for Pamela in this issue. She knows there’s something wrong with her, but by the time she finally reaches out for help, it’s too late; she’s alienated the closest thing to a support group she had, and now they want nothing to do with her. As winter approaches, she’s actually frightened of what will happen to her, but Babs doesn’t trust her, and won’t help her. It’s tragic that Ivy’s hit rock bottom enough to ask for help, only to be denied; at the same time, I can’t blame Babs for her actions, either. She claims it’s Ivy’s lack of empathy in the face of the poor, sick man that dissuades her from offering her help. But, after the two ladies exchange some punches and part ways, Ivy goes back to the suffering man and mercy-kills him. She appears to not care about anything as the plant world shuts down, but she couldn’t let that man continue to suffer like he was. There isn’t much in the way of serious looks at the criminally insane of Gotham, despite the fact that there are so many of them. With this annual, Gail Simone takes the time to really investigate the illness that drives one of Arkham Asylum’s most well known inmates; in the process, she gives us surprisingly real insight into a complex character. It’s the same approach Simone has taken with the title character with this book, and it proves just as effective with Poison Ivy as it has with Batgirl. What did you think, Drew? What were your thoughts on getting to know Pamela Isley a little bit better? 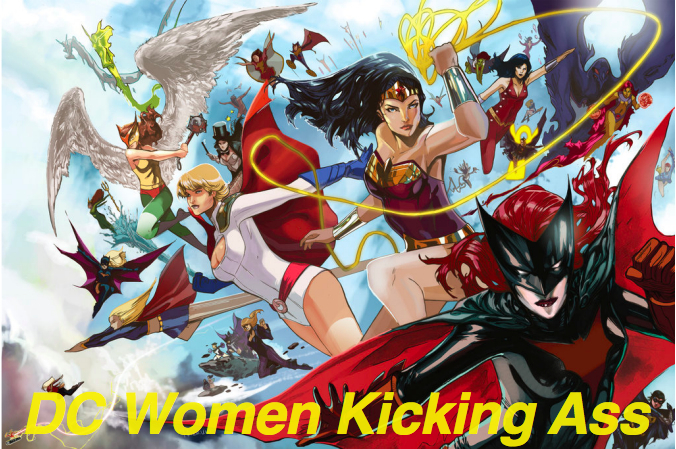 Drew: I absolutely loved Simone’s take on the character here, but I think the smartest bit is that, as with most supervillains, the more we get to know her, the more insight we get into our hero, as well. Like when Ivy goes back to put Mr. Tucker out of his misery — she’s not just demonstrating mercy that Batgirl hasn’t seen, she’s also demonstrating that killing can be mercy, something I don’t think Batgirl would even believe. Of course, Babs has kind of a weird track record with trust in this issue. Her opening dialogue mentions that her circle of trust is small, but I’m not sure that necessarily makes her lack of faith in humanity all that logical. Not that somebody wanting to put up a security camera in a public garden seems entirely unbelievable — indeed, I can absolutely see someone who hadn’t considered their privilege doing this — I just find it hard to believe that Babs could be so ignorant. Maybe her exposure to Gotham’s criminal underbelly has skewed her outlook, but I kind of have to think that she fights crime because she believes there are decent people out there to protect. Don’t get me wrong — I appreciate the ultimate message that Batgirl could stand to be a little more trusting, I’m just not sure I see that as being a problem on the scale shown here. The trusting Poison Ivy half of the equation worked much better for me. Ivy’s allegiance in the New 52 has been an ongoing source of drama, and Simone perfectly walks the line of exactly how evil Ivy is. Between that theme and the presence of Black Canary, Starling, and Katana, I couldn’t help but be reminded of those first few issues of Birds of Prey, which I absolutely loved. Simone has an impressive handle on all of these character’s voices, but the heart and soul of the team — at least under Simone’s pen — has always been Babs and Dinah. Dinah’s “how could I not?” is the subtlest nod to their slash-y history, recalling the strongest Birds of Prey stories from before the relaunch. The effect is an invitation to remember our favorite moments with the team, an intriguing prospect of shared memory. 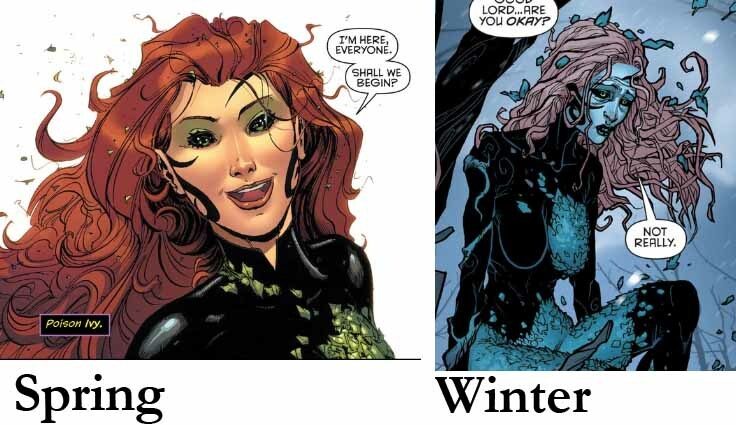 Simone also slips in a few nerdy references for fans — Ivy’s “Winter’s coming” stands out in particular — cementing this sense of community that Simone’s body of work seems to embody. That kind of communal experience is rare in the increasingly fractured pop culture climate we live in, but Simone digs straight to the heart of her comics-loving fans, inviting them to remember (or go back and read) some great comics, but also makes a point of reaching out to Game of Thrones fans (a kind of shorthand for the mainstreaming of nerd culture). The result is a surprisingly open and welcoming book — no need to put up a security camera here. Why is it every time Simone writes a Batgirl buddy issue, I just want her to start a new title with that character? Remember that issue with Catwoman and Stryx, when all we wanted was Simone on Catwoman? I would read the HECK out of a Simone-penned Poison Ivy book. THE HECK. I would LOVE to see Gail Simone write a monthly “Batgirl Team-Up” book in the style of Pete Tomasi’s “Batman and” series. I would love this too. Again, not totally sure what to make of the fact that she only seems to have access to / interest in the female characters, but I guess beggars cannot be choosers. Any Gotham support cast could use the Simone treatment. Drew, quit stealing my tomatoes. But what else am I supposed to throw at Patrick? I really loved the scene with Barbara and Alysia … how Barbara doesn’t realize that the people they’re trying to help with the garden are the people she thinks will steal from it. I think it’s easy for her to see things in black and white and sometimes she forgets how important empathy is. The hardest thing for me is that I haven’t been keeping up with BoP and didn’t read the Ivy storyline mentioned in the Annual, so I felt a bit lost about the plot. It’s an interesting story that the structure forces. Like, it has to weave through the Birds’ on-going adventure. I stopped reading shortly after Marx took over (which, geez, has been like a year ago now), but Ivy basically threatened to kill the Birds (and… the rest of humanity) if they didn’t do her bidding. It got pretty grim.